Somebody had a pretty awesome little surprise this past weekend! I don’t know about any of you with kiddos out there, but we have come to learn that ours do NOT do well with finding out about an exciting thing/trip/event/etc. ahead of time. We have to do our best to keep the exciting “thing” a secret for as long as possible, otherwise, it results in all sorts of whining and complaining about it wanting to be right. now. 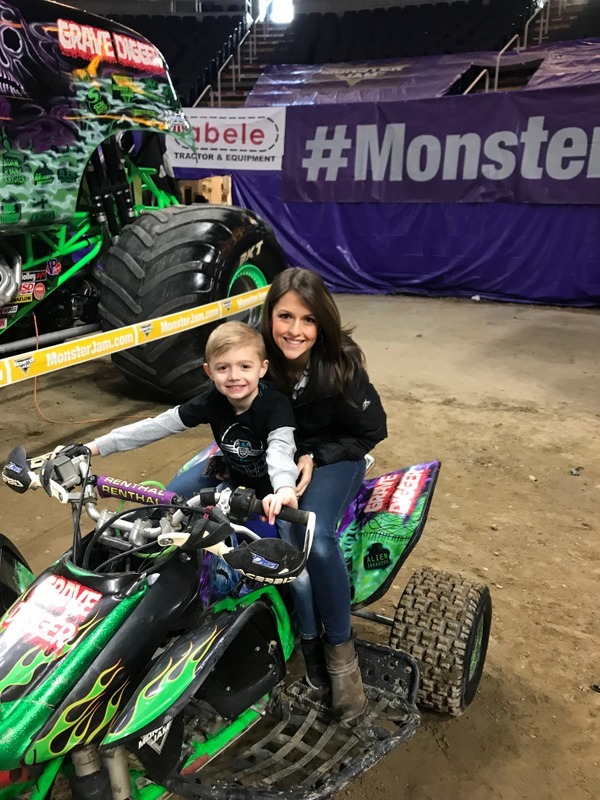 Sooo, although we’ve known that we were going to be having a special “Lucas” day at Monster Jam for a couple of months now, we didn’t wind up telling him until we pulled into the parking garage of the arena. And he was SO excited! We met up with our cousins Sarah and Jeff, and their oldest little guy, and the six of us had some fun walking around and checking out all of the trucks before the actual event started (thanks to some pit passes from Sarah and Jeff!). 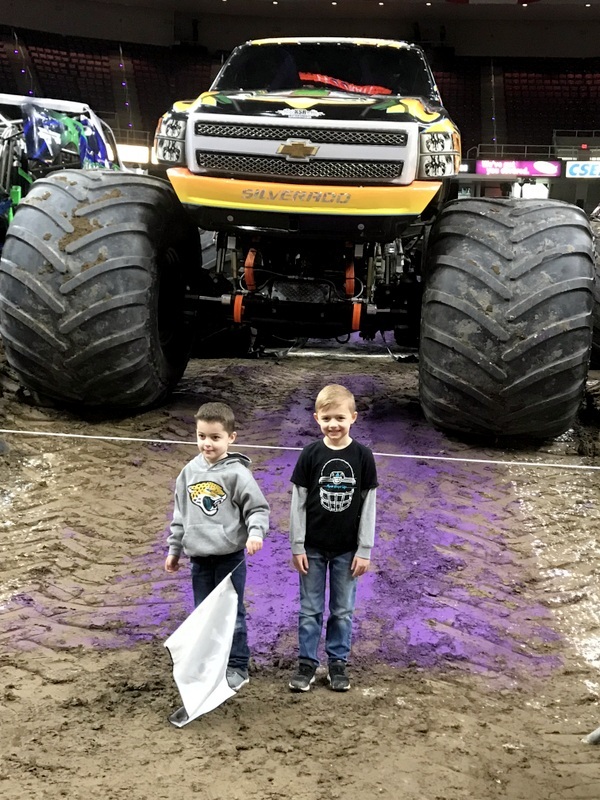 This is the third year that Lucas has gone to see Monster Jam here in Albany, but only my first (since I was in Texas visiting Magnolia Market for last year’s show! ), and it was quite the experience. 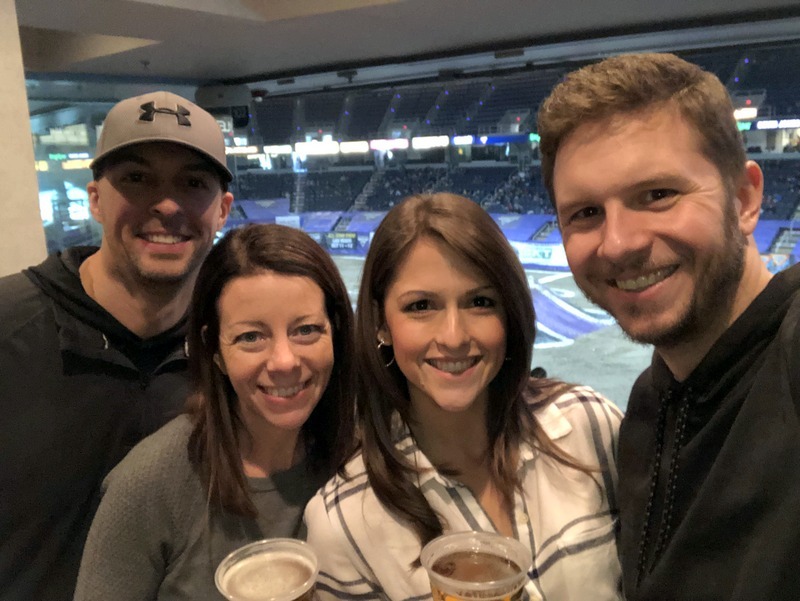 Once we were done checking out the trucks, we headed up to our box to sit and let the boys have some lunch + a couple of beers for the adults before the show started. Between the time down in the pit + the show, it definitely wound up being a good, five hour event, but this kid loved the whole thing. 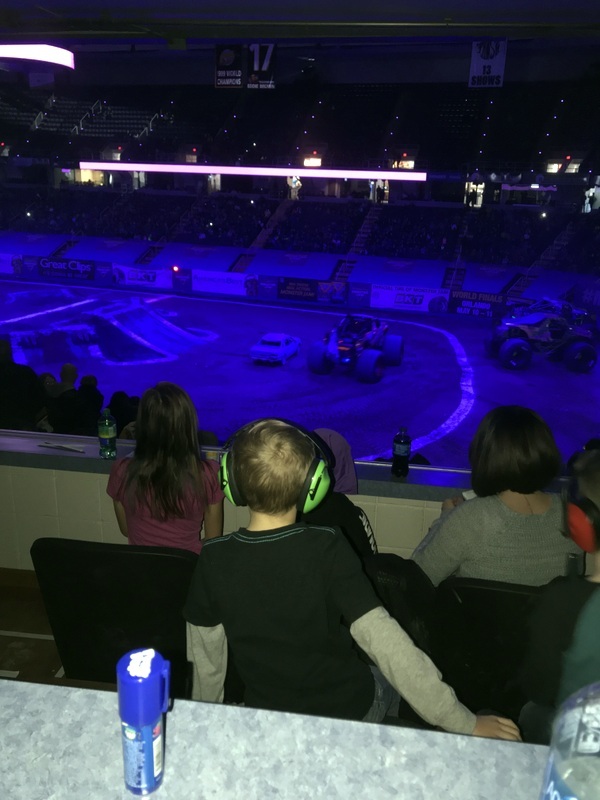 And I mean, I’m not gonna lie…I know my fair share about Monster Jam (have you seen my living room full of trucks??) so it was pretty cool to be able to check them out at an actual event. I’ve got this boy mom thing down! 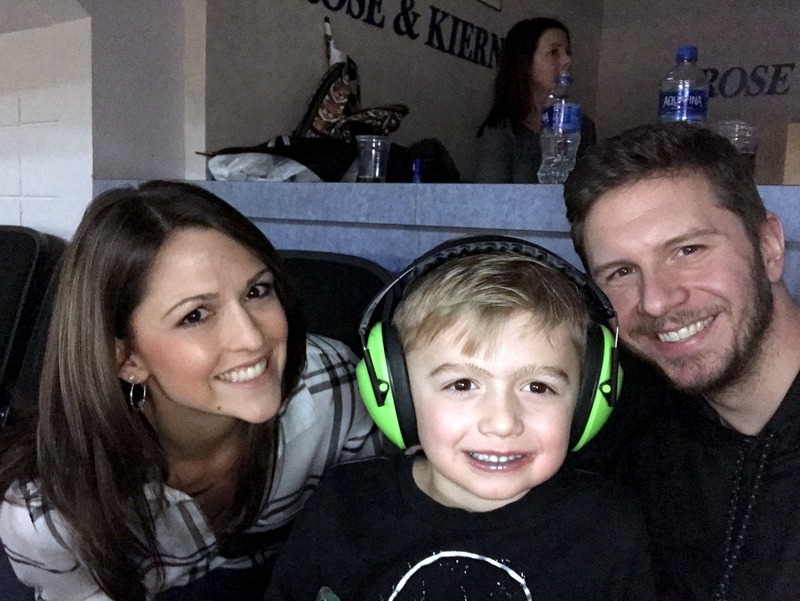 We all had a great time, and Alex had lots of fun back at home with my parents…I’m sure he’ll be joining in on the fun by next year! Besides our little Monster Jam event, there really wasn’t very much happening this weekend to share…BUT…I know one of the things a lot of you always say you’re interested in is our meal plans for the week. Admittedly, we haven’t been doing an awesome job on the meal planning front, but we’re trying to get back into it with the start of the new year. 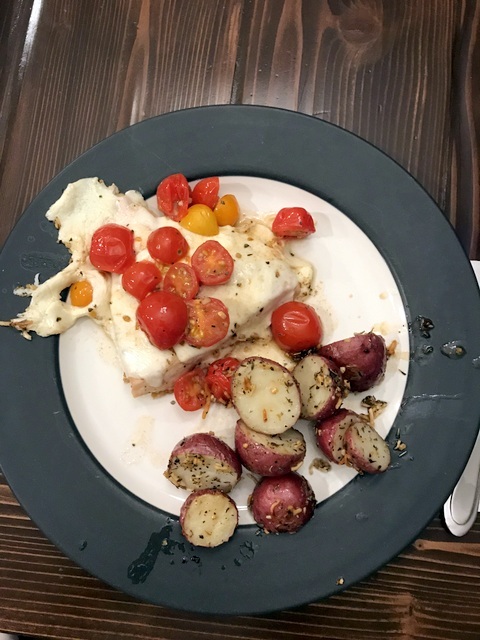 —-The boys will also eat these, which is great, and we’ll usually either pair them with frozen french fries or salads. —-To make the chicken, I threw a few breasts into the crockpot, topped them with a packed of Italian dressing mix, added some chicken broth, and let them cook for about 5-6 hours on low – SUPER easy! —-We LOVE this recipe, and cook it frequently. 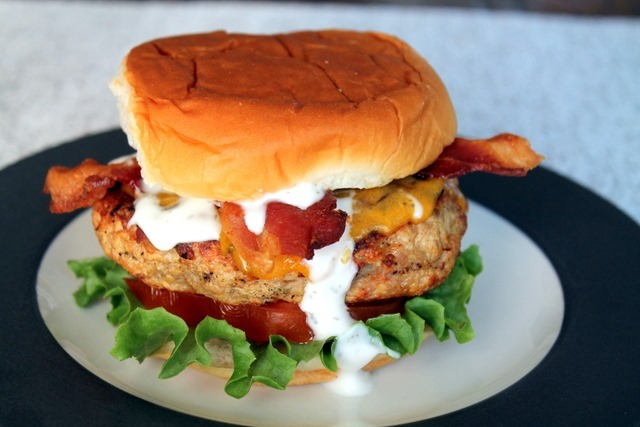 It’s quick and easy, the boys will eat the chicken, and it’s easy to make extra so you have leftovers. —This is a no-go for the boys (womp womp) but it always makes enough for us to either freeze half or save it for later. We’re actually planning on having the rest of it this week. So so funny you have to keep things secret about events! I can only imagine. 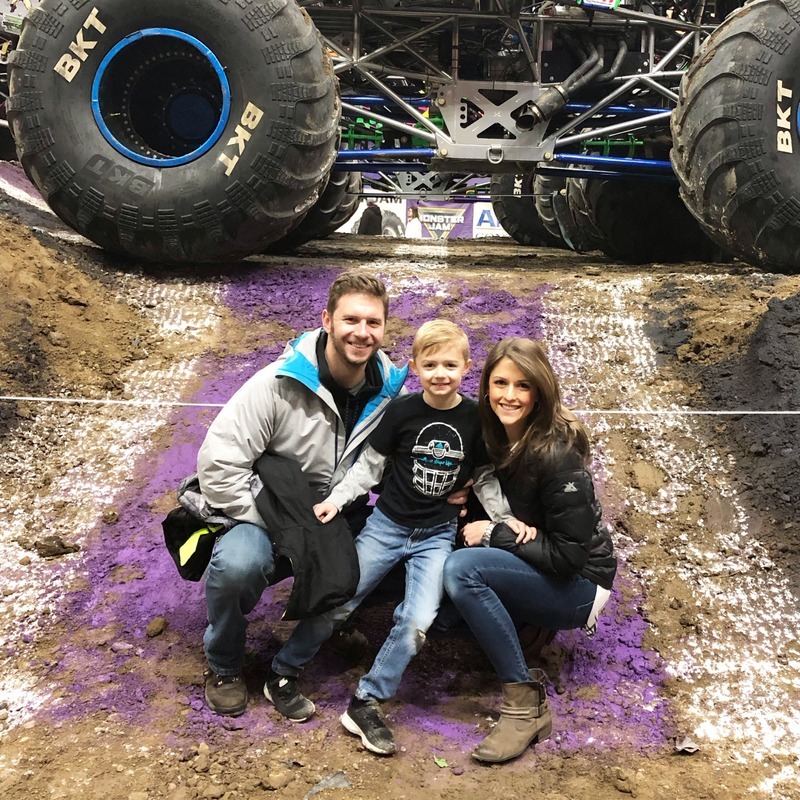 I told my man we were going to a monster truck rally 2 weeks ago - but the surprise was i took him to see his mom! I call her a monster truck cause she snores like one. And your food looks delicious! It beats my frozen corn dog and fries. Maybe should heat them out of the freezer? Have a great week Courntey! 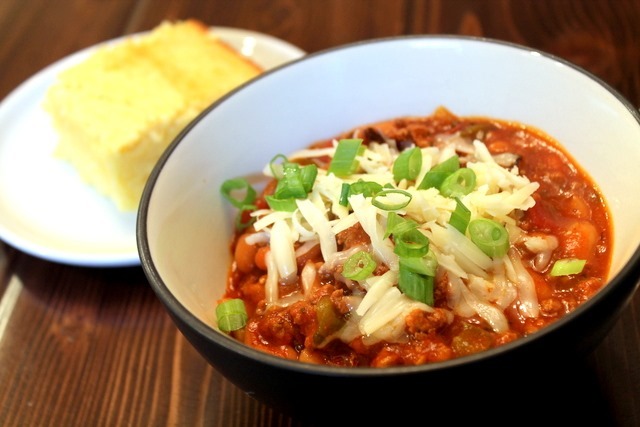 Your chili recipe is the only one I make and even made it for NFL championship Sunday dinner! !